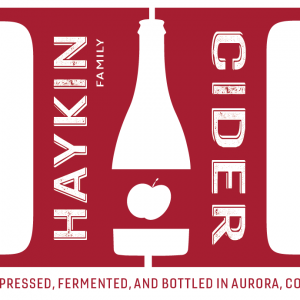 Haykin Family Cider is an award-winning small batch cidery located in Aurora, Colorado. With tiny bubbles, they produce a sparkling wine-like cider in a variety of sweetness levels. Elevating the apple like wineries treat grapes, Haykin Family Cider highlights the flavor and complexity of interesting and unique apples. This list includes beers brewed currently, previously, or seasonally by Haykin Family Cider. Contact the brewery for current beer availability.